Start your Sunday off right! Enjoy pastries, fresh fruit, waffles and omelets made to order, scrambled eggs, potatoes, coffee, orange juice and much more. 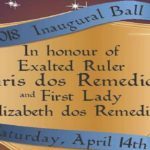 Come celebrate the ascension of Exalted Ruler Chris Dos Remedios and First Lady Elizabeth at our 2018 Inaugural Ball. Dance the night away as our DJ spins tunes. Of course, the dress code is formal. 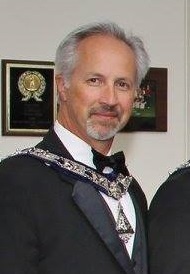 All Elks Members are invited to attend the meeting of our Board of Directors. This is a great chance to see how the Lodge is run! Next Meeting Date: April 19, 2018 6:30 p.m.
Once a month, we all pitch in and offer a complete pasta dinner, including salad, rolls, pasta, desert and all the red wine you can drink for only $15.00. Tickets are sold at the door and can be bought in the Mahogany Room in advance. Tonight’s menu is Spaghetti and March Madness Meatballs!. The proceeds support our contribution to the Elks National Foundation Charities. Combining good food with good times while doing good work is what The Elks do best.